The Buffalo Bills opened the 2018 season in Baltimore against the Ravens and it was an unmitigated disaster. Not for one single solitary moment was it anything resembling a competitive game. As a matter of fact, it felt very much like a high-level college team (Baltimore) playing a sub-division cupcake (Buffalo) to pad their stats. It was that level of ugly. It’s hard to call it anything else when the opponent pours it on for four quarters and wins by 44 points. Recapping the game would be an extended exercise in masochism (unless you’re a Ravens fan), so a few thoughts on the team instead. We will get to the very large elephant in the room in just a minute. Instead, let’s focus on the rest of the team. The offensive line was a mess as everyone had expected. 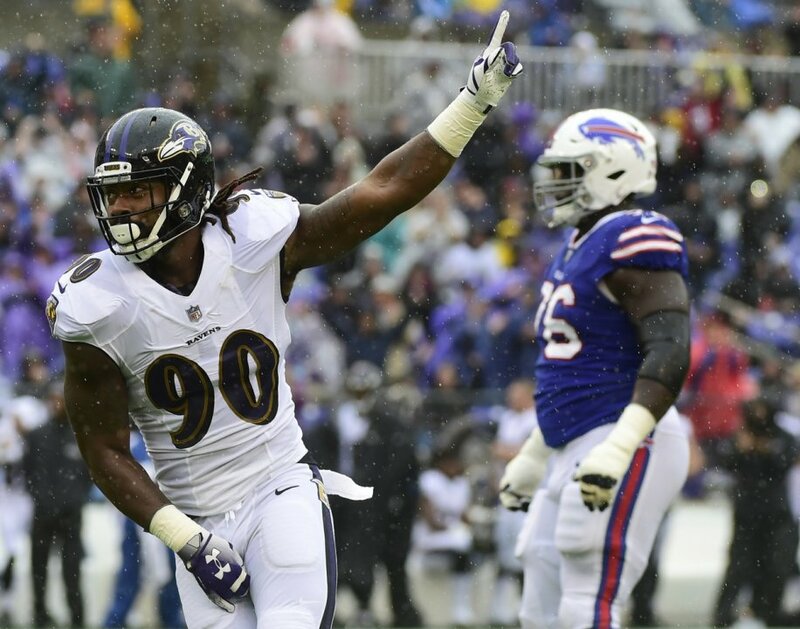 Six sacks surrendered and consistent pressure from an albeit very good Ravens defense meant that the offense couldn’t even begin to get going. This was something we all expected to be an issue, but this kind of performance was embarrassing. Not only that, but it’s going to make it a difficult task to get a fair assessment on the quarterbacks (more on them soon, don’t worry). It’s understandable that some of the issues were out of the Bills control. They lost Pro Bowl guard Richie Incognito to “retirement” and longtime center Eric Wood to actual injury-related retirement. Not bringing in any other options is somewhat infuriating, but it’s obvious this a rebuild and GM Brandon Beane might want to see what he has until the dead money from those two comes off the books in the off-season. Moving on to wide receiver, it’s a story that really hasn’t changed since Eric Moulds was in Buffalo. There is no impact receiver and what’s worse, the Bills don’t have any secondary receiving depth right now, either. There simply isn’t any talent at the position to let whoever the quarterback is succeed. Only twice in recent memory have the Bills made an effort to add an impactful player at the position: trading for Kelvin Benjamin (who is a second receiver at best) and when they traded up to get Sammy Watkins (who is now long gone). It’s not as easy as saying “let’s add a receiver!” but when the franchise typically only adds late-round flyers, it isn’t typically going to pan out. Maybe the most troubling part of Sunday’s massacre was the defense. Let me preface this by saying that I understand they were way behind the eight-ball. Baltimore’s starting field position was great because the offense couldn’t do anything, the defense was consistently on the field and even put in situations where the Ravens were beginning deep in Buffalo territory. But the defense couldn’t stop any of the bleeding. It was like trying to close off an amputation with a band-aid. The pass rush wasn’t there, allowing Flacco to float in the pocket as he pleased. Maybe things would have gone better in a more optimal situation. Maybe this is too harsh an assessment of a defense that was asked to work from underneath and save the day from an offense that could never get going. In any event, it was a disappointing effort from a unit that was supposed to be a strength. Now, onto the thousand pound gorilla in the room: the quarterback situation. Simply put, Nathan Peterman should never see another NFL snap again. I’ve been a vehement supporter of keeping Josh Allen, the highest drafted quarterback in franchise history, on the bench so he doesn’t get killed but Peterman is so ungodly atrocious that there is simply no hope for him. He managed to have a worse QBR than his disastrous five interception first half from last year. There are so many jokes to be made here, I don’t even know where to start. 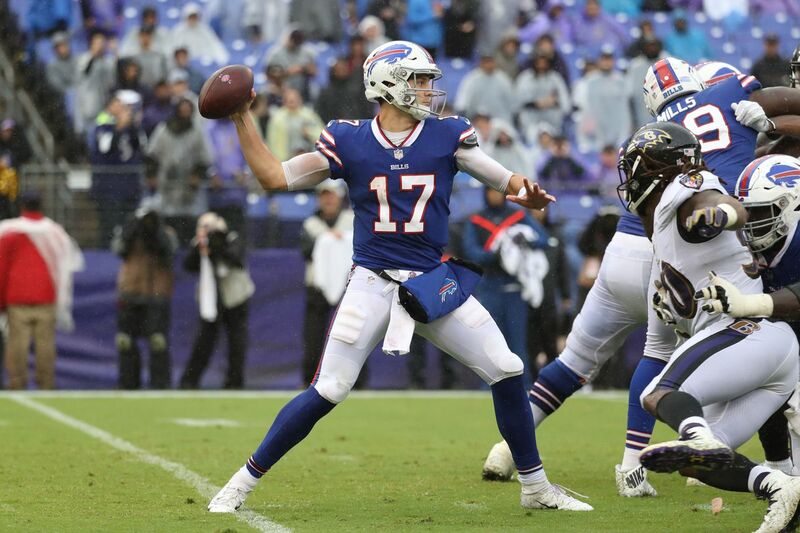 Couple that with the fact that Allen, who came in midway through the third quarter, looked decent — showing confidence and mobility in the face of constant pressure while displaying the ability to fire bullets into tight spots — and Peterman should consider himself lucky if he isn’t cut outright. It’s incredibly troubling that head coach Sean McDermott said he needs to “see the tape” before deciding on a starter for week two, even though it’s the diplomatic thing to say. But the team needs to name Allen the starter, cut Peterman and sign a veteran backup to simply be a warm body. The Peterman experiment is D-U-N. This is going to be a long, long, long season for the Bills but we might not have to wait much longer for the Josh Allen era to kick off. Let’s just hope it’s different than the last two decades of young quarterbacks that have had the misfortune of playing in Buffalo.